This Lake Hartwell waterfront home has been immaculately maintained and is inside the restricted Cahaly Cove subdivision. 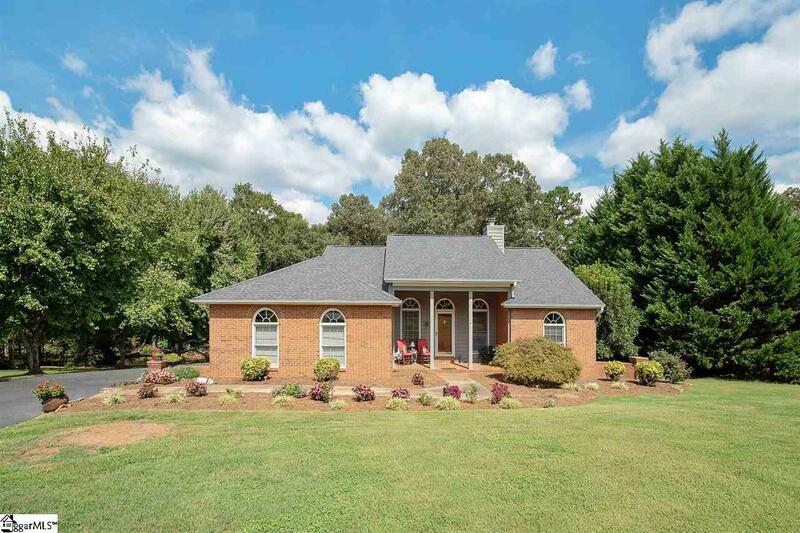 In terms of location, this one is hard to beat - less than 10 minutes to the heart of Anderson, approximately 18 minutes from Clemson University, and zoned for Pendleton schools. Exterior features include a brick & cedar exterior, 2 car attached garage, newer roof (replaced 8/2016), large back deck, detached storage building, and a gentle slope to the water. With excellent water year-round, it's a great spot to launch your kayaks & paddle boards, or beach your boat temporarily. Inside the home, you'll find a desirable split floor plan with nearly 2000 square feet all one one level. The large living area has a recessed ceiling, hardwood floors, and a fireplace with gas logs. The expansive master bedroom has vaulted ceilings and access to the back deck, as well as a private bathroom with double sinks (including a makeup vanity), walk-in shower, oversized jetted tub, and two walk-in closets. The kitchen features ceramic tile flooring, granite countertops, tile backsplash, stainless steel wall oven, Jenn-Air cooktop, and a convenient breakfast bar. Additional interior highlights include a formal dining room, sun room, powder room, walk-in laundry/mud room. Listing provided courtesy of Parker Quigley of Parker Quigley Properties, Llc.